In this thorough and broad interview with Dr. & Fr. George V. Coyne, S.J., he discusses the following: youth, upbringing, and pivotal moments in his life; attraction to the Roman Catholic Faith from a young age; broad educational background in theology and science; thoughts on the Jesuits and the merger of scientific and theology knowledge; comments on the 1997 essay by the late Dr. Stephen Jay Gould, Non-Overlapping Magisteria; the purpose of science and theology, and the responsibility of scientists and theologians to contributing to society and culture; desired hypothetical research; falsehoods and truths surrounding the Catholic faith; and the future of the Roman Catholic faith in the middle and latter portions of this century. Keywords: Catholic, Catholicism, culture, Dr. & Fr. George V. Coyne, Dr. Stephen Jay Gould, Jesuits, non-overlapping magisteria, Science, scientist, society, theologian, Theology. I had a very happy youth as the third oldest of 8 siblings growing up in a traditional and devout Catholic family. I attended Catholic elementary schools and a Jesuit High School, Loyola High School (LHS) Blakefield (Baltimore, MD). A religious nun who taught me in the 7th and 8th years of elementary school insisted that I take the entrance exam to LHS and she prepared me to do that by instructing me every Saturday afternoon for two months. No Saturday afternoon baseball or basketball for me! She happened to have the entrance exams for the past twenty years and they were the basis for my instruction. Needless to say, since there are only so many new questions one can ask, my drill master taught me to answer questions even before I was asked. Through dint of memory – and not intelligence – I won a full scholarship and my attendance at LHS proved to be a defining experience for my whole life. Iwas taught by many young Jesuits at LHS and grew to admire their lives, especially two aspects: their total dedication to working for others and their obvious happiness at living together in a religious community. The common expression for a Jesuit is “Men for Others.” At graduation from high school, I entered the Jesuit seminary. During my first year of studies in Latin and Greek literature, after two years of novitiate, I had the good fortune of being instructed by a Jesuit priest who, in addition to having a PhD in the classical languages, also had a MS in mathematics and an educated interest in astronomy. He noted my interest in astronomy and encouraged me to nurture that interest. His dedicated and passionate tutoring determined all of my future professional life. 2. Early in your life, what attracted you to the Roman Catholic Church and Faith? I never had any serious doubts about my faith. I consider that faith has been a gift of God to me through my family and later on through my associates. 3. 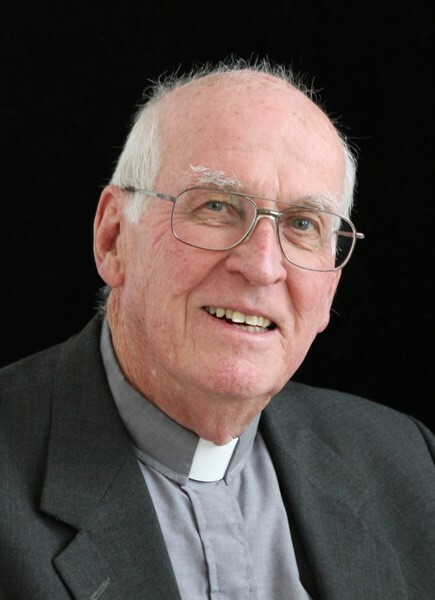 You joined the ‘Jesuits in 1951, earned a B.S. in Mathematics and your licentiate in philosophy from Fordham University in 1958, a Ph.D. in astronomy in 1962 from Georgetown University, and finally the licentiate in sacred theology from Woodstock College in 1965 upon ordination as a Roman Catholic Priest.’ How have you found this scientific and theological background of value? The general background to the topic I wish to address is to what extent religious thought can make a contribution to our scientific understanding of the origins and evolution of life in the universe derived from astrophysics and cosmology. And, on the other hand, to what extent can what we know from science about life influence our religious attitudes. This twofold question poses the serious risk of transgressing upon the epistemological independence of the various disciplines: theology, philosophy, astrophysics and cosmology, and creating, thereby, more confusion than understanding. As the discussion proceeds we must maintain a consistent posture of preserving the integrity of each of the disciplines. Too often discussions of the relationship between science and religion are carried out in very general terms. Such discourse can be quite unfruitful for two reasons: (1) As compared to the natural sciences religion contains a larger measure of the subjective, of human experiences not totally verifiable by objective reasons. Such subjective experiences are not, of course, limited to religion. They are present in many areas of our lives. Nor need these experiences, religious or otherwise, necessarily conflict with reason. They simply are not limited to rational explanation. They go beyond what can be rationally justified. (2) While for the natural sciences we have a rather acceptable idea of what we mean by science, the very notion of religion is ill-defined. Does it mean worship? Does it mean being a “good person”? Does it mean accepting certain moral dictates that go beyond what is commonly accepted as good and bad? Does it mean accepting those dictates out of personal conviction or out of loyalty to a certain tradition? Does it mean believing in certain doctrines? Does it mean accepting a certain authoritative and hierarchical structure, i.e. being affiliated with a certain Church? To most of us religion would imply more of an affirmative than a negative answer to all of the above. And yet the situation is further complicated by the multiplicity of religions which differ among themselves, have even warred among themselves, over the responses given to such questions as the above. Even today, if we look at some of the main religious traditions: Islam, Judaism, Christianity, Buddhism, etc., we see not only vast differences among them, but enormous divisions within any one of the traditions. The only way, therefore, that dialogue as a rational experience can take place is that, on the part of religion, the dialogue be limited to the rational foundations for religious belief. Even then, the only way that any such dialogue could have universal significance is that we could assume that there existed common rational foundations across all religious traditions and that is simply not the case. It seems, therefore, that any fruitful dialogue requires that the rational basis for certain specific religious beliefs in certain specific religious traditions be confronted with what is known from the natural sciences. The natural sciences, in particular, have made great advances by adhering rigidly to canons of what is scientifically true. In fact, in recent years the norms for judging the scientific truth of a given theory of life’s origins and evolution have been extended, it appears to me, in the direction of inviting dialogue with philosophy and theology. (Destiny of Life and Religious Attitudes, G.V. Coyne, in Life as We Know It, ed. J. Seckbach (Dordrecht: Springer Science 2005) 521-535, page 521 Introduction. 4. You stand amid the rare and rarefied class of Roman Catholic figures entitled ‘Cleric-Scientists’. What role do your fellows throughout Roman Catholic history play in the development of the definitions and integration of science and faith? In particular, the merger of both Catholic theology and scientific knowledge? The presence of Jesuits in different fields of the natural sciences is an interesting phenomenon that has attracted academic and general attention and can be found in the literature. Jesuits are popularly known as religious persons who are involved in scientific work and they appear as such in some science fiction novels. A few years after its founding in 1540 by Saint Ignatius of Loyola, the Society of Jesus undertook its educational endeavor as the key instrument of its apostolic work. From the beginning, as a novelty for the time, a special attention was given in the first colleges to the teaching of mathematics and astronomy. This coincided with the origins of modern science and Jesuit professors were in contact with many of its key figures, such as Galileo, Kepler, Huygens and Newton. Jesuit missionaries introduced European mathematics and astronomy to China and India, made the first maps of the unknown regions of America, Asia and Africa, and brought to Europe the first news about the geography, animals and plants of those lands. The presence of Jesuits in science has continued throughout their long history. In addition to a very pragmatic motivation, the basic foundation for such work is to be found in Ignatian spirituality. The core of this spirituality lies in the emphasis on finding God in all things, the union of prayer and work, the search for what leads to the greater glory of God, and the preference for work “on the frontiers”. This has often involved Jesuits in unconventional activities and situations, including scientific research. Jesuit scientists, who have reflected on their work, acknowledge this special affinity between the scientific vocation and their spirituality and are aware of the difficulty in combining this vocation with that of a Jesuit, of being at the same time priests and scientists. To conclude, the Jesuit scientific tradition, in spite of all the problems encountered during its long history, is still alive and serves as a special characteristic in the Catholic Church. A view of the evolutionary universe and of our place in it, as the sciences see it, and of God’s role in the universe, derived from the reflections of a religious believer upon that same science, may help us in a further understanding of Jesuit mission. We, in a special way, share in the creativity which God desired the universe to have. We are co-creators in God’s continuous creation of the universe. The Jesuit identity expressed by St. Ignatius’ vision of Jesuits as contemplatives in action is reinforced by our reflections on the nature of the universe. Co-creators in the universe can only realize their mission if they are constantly united to God, the source of all creativity. Jesuit identity is much more than what Jesuits and their partners do. It is bound intimately to the very nature of the universe which drives us as co-creators to the serve others in union with the Creator. Ignatian mission is a participation in the intrinsically missionary nature of the Church, the concrete presence of the Creator among his co-creators. God is continually encountering the world in new and creative ways because the world he created is responsive to his continual encounter. Ignatius sent his men into that world and sought to free them of any encumbrance to a free and total commitment to the world in whatever way their talents would best serve the Church. And their mission was to evolve just as the universe itself is in evolution. But for any individual Jesuit, Jesuit partner or Jesuit institution the evolution of mission must be in consort with the intrinsically missionary Church. The wisdom of God in emptying himself to create a world which shares in his creativity requires that, since God is the one God of all creation, such participation in his creativity must be universal. It cannot favor any particular social, cultural, religious movement. While to function any given mission must be limited, it cannot be exclusive. 5. In a 1997 essay Non-Overlapping Magisteria by the late Dr. Stephen Jay Gould, he re-defined the standard notion of tension between science and theology as not having any real area of conflict. Dr. Richard Dawkins critiqued Dr. Gould’s synthesizing view based on arguments against the ability of the separation of religious and scientific matters. How do you view these matters? What do you consider the appropriate stance towards scientific and theological knowledge? There is always a serious risk of transgressing upon the epistemological independence of the various disciplines: theology, philosophy, astrophysics, biology and cosmology, and creating, thereby, more confusion than understanding. It is, therefore, necessary to maintain a consistent posture of preserving the integrity of each of the disciplines, especially that between the natural sciences and theology. As compared to the natural sciences religion contains a larger measure of the subjective, of human experiences not totally verifiable by objective reasons. Such subjective experiences are not, of course, limited to religion. They are present in many areas of our lives. Nor need these experiences, religious or otherwise, necessarily conflict with reason. They simply are not limited to rational explanation. They go beyond what can be rationally justified. In the natural sciences there are a number of criteria whereby an explanation is judged to be best. (See the response to number 6 below.) I suggest that one of those criteria is unifying explanatory power; i.e. not only are the observations at hand explained scientifically but the attempt to understand is also in harmony with all else that we know, even with that which we know outside of the natural sciences. This last criterion is significant, since it appears to extend the semantics of the natural sciences towards the realm of other disciplines, especially to theology and Christian faith. Put in very simple terms this criterion is nothing else than a call for the unification of our knowledge. One could hardly be opposed to that. The problem arises with the application of this criterion. When is the unification not truly unifying but rather an adulteration of knowledge obtained by one discipline with the presuppositions inherent in another discipline. History is full of examples of such adulterations. It is for this reason that scientists have always hesitated to make use of this criterion. And yet, if applied cautiously, it could be a very creative one for the advancement of our knowledge and, therefore, of our faith. The supposition is that there is a universal basis for our understanding and, since that basis cannot be self-contradictory, the understanding we have from one discipline should complement that which we have from all other disciplines. One is most faithful to one’s own discipline, be it the natural sciences, the social sciences, philosophy, literature, theology, etc., if one accepts this universal basis. This means in practice that, while remaining faithful to the strict truth criteria of one’s own discipline, we are open to accept the truth value of the conclusions of other disciplines. And this acceptance must not only be passive, in the sense that we do not deny those conclusions, but also active, in the sense that we integrate those conclusions into the conclusions derived from one’s own proper discipline. This, of course, does not mean that there will be no conflict, even contradictions, between conclusions reached by various disciplines. But if one truly accepts the universal basis I have spoken of above, then those conflicts and contradictions must be seen as temporary and apparent. They themselves can serve as a spur to further knowledge, since the attempt to resolve the differences will undoubtedly bring us to a richer unified understanding. 6. What do you consider the purpose of theology? What do you consider the purpose of science? More importantly, what role do theologians and scientists play in shaping, defining, and contributing to society and culture through working in their fields? Theology is the search for a rational understanding of religious faith. It is, therefore, a science, but not a natural science. The classical definition of theology is “fides quaerens intellectum” (faith in search of understanding). However, religion, the very object of theology’s search, is ill-defined. Does it mean worship? Does it mean being a “good person”? Does it mean accepting certain moral dictates that go beyond what is commonly accepted as good and bad? Does it mean accepting those dictates out of personal conviction or out of loyalty to a certain tradition? Does it mean believing in certain doctrines? Does it mean accepting a certain authoritative and hierarchical structure, i.e. being affiliated with a certain Church? To most of us religion would imply more of an affirmative than a negative answer to all of the above. And yet the situation is further complicated by the multiplicity of religions which differ among themselves, have even warred among themselves, over the responses given to such questions as the above. Even today, if we look at some of the main religious traditions: Islam, Judaism, Christianity, Buddhism, etc., we see not only vast differences among them, but enormous divisions within any one of the traditions. The only way, therefore, that dialogue as a rational experience can take place is that, on the part of religion, the dialogue be limited to the rational foundations for religious belief. Even then, the only way that any such dialogue could have universal significance is that we could assume that there existed common rational foundations across all religious traditions and that is simply not the case. It seems, therefore, that any fruitful dialogue requires that the rational basis for certain specific religious beliefs in certain specific religious traditions be confronted with what is known from the natural sciences. As to the natural sciences, skeptics, dubious of ever being able to find a widely accepted definition of science, say that science is what scientists do. The element of truth in this statement is that science is not a univocal concept. It varies from one discipline to another, even, for instance, among the so-called hard sciences. But there is also sufficient commonality among them that the name “science” can be legitimately given to each analogically. Scientists begin with controlled data, that is, data which any other trained professional could independently verify. The observed data is used to develop a model which best explains the data. The movement from observations to models is a continuously reciprocal process. The best model is used to determine what further observations must be made. The model is then revised with the new observations, etc. There is a constant going back and forth from observations to the model to the observations. It is important to note that in the very nature of this process of reciprocity there is an implicit acknowledgement that we do not possess the truth. The expectation is, however, is that we are continually approaching the truth. The nature of dark matter and of dark energy. 8. One common mischaracterization, as you have noted, about the Catholic Church comes from viewing it as a monolith, especially in theological, intellectual, and scriptural thought. Regarding falsehoods about the Catholic Church, what few stand atop the list of those falsehoods? What truths dispel them? By many the Catholic Church is seen as primarily hierarchical, an organizational structure: Pope, Vatican Congregations, Diocesan bishops, national conferences of bishops. The Church is clearly that but not primarily that. The Church is God’s people on pilgrimage. The popular phrase is: “We are the Church.” The hierarchical structure is at the service of God’s people, as Pope Francis continues to emphasize and as, based on a solid Scriptural tradition, was so declared in very clear terms by Vatican Council II. One is judged as a “good” Catholic by one’s adherence to doctrinal and moral statements of the hierarchy and putting them into practice. Again, that is quite important but not primary. Primary is accepting God’s love for us, received in a community, and spreading that love as far as we can, beginning here and now. 9. Regarding the foundational claims of the Catholic Church such as the existence of God, the attributes of God, the moral structure of the universe, the revelations contained within the Old and New testaments, and so on, what do you consider the strongest arguments for their soundness? Their coherence with all of human experience. See responses to numbers 5 and 6. 10. Where do you see the world of faith and science during middle and latter portions of this century? What brings you most worry for them? What brings you most hope? Most worrisome are the divisions among the world’s Abrahamic religions: Judaism, Islam and Christianity, not just on their beliefs but on their way of dealing among themselves. Another worry concerns the growth of fundamentalism as most experienced by me within Christianity. We cannot, it seems, accept the richness of the Holy Scriptures for what they are. To put it most generally, there is nothing like love and knowledge combined to sooth the troubled waters. [setonhall] (2012, November 28). Father George Coyne. S.J., Ph.D. – Jaki Lecture 2012. Retrieved from https://www.youtube.com/watch?v=B2ZdgFQGLxI. [villanoveuniversity] (2011, June 6). Children of a Fertile Universe: Chance, Destiny, and a Creator God. Retrieved from https://www.youtube.com/watch?v=MzRvEGxmHAQ. Coyne, G. V. (2006). In the Beginning….Science & Spirit, 17(6), 24-27. Coyne, G. V. (2012). Defending Copernicus and Galileo: Critical Reasoning in the Two Affairs.Catholic Historical Review, 98(2), 380-381. Coyne, G. (2010). Evolution and Intelligent Design: What Is Science and What Is Not. Revista Portuguesa De Filosofia, 66(4), 717-720. Coyne, G. V. (2010). Galileo’s telescopic observations: the marvel and meaning of discovery. Proceedings of the International Astronomical Union, 6, pp 3-6. doi:10.1017/S1743921310007192. Coyne, G. V. (2013). SCIENCE MEETS BIBLICAL EXEGESIS IN THE GALILEO AFFAIR.Zygon: Journal Of Religion & Science, 48(1), 221-229. Coyne, G. V. (1999). The church’s route to enlightenment. Nature, 402(6762), 579.Coyne, G. V. (2008, January). The Evolution Debate. Physics Teacher. pp. 6-7. doi:10.1119/1.9823990.